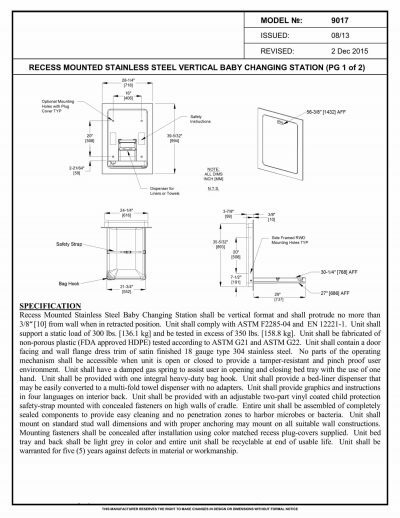 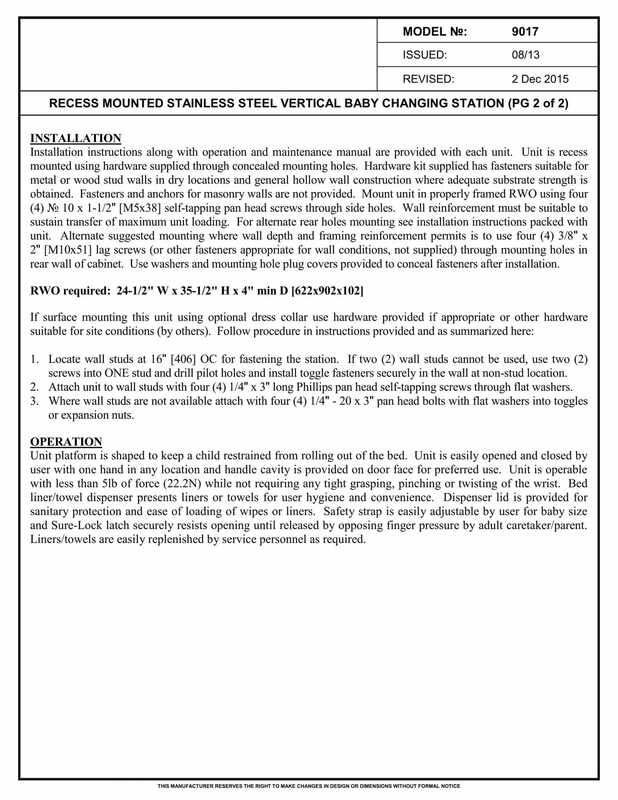 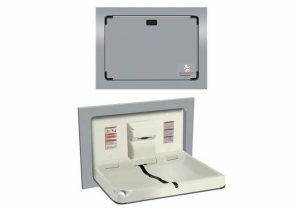 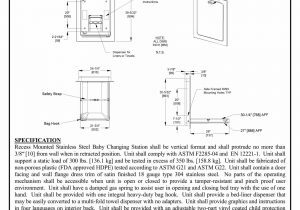 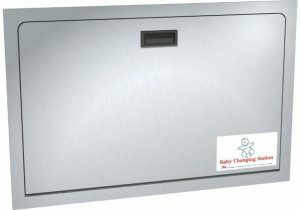 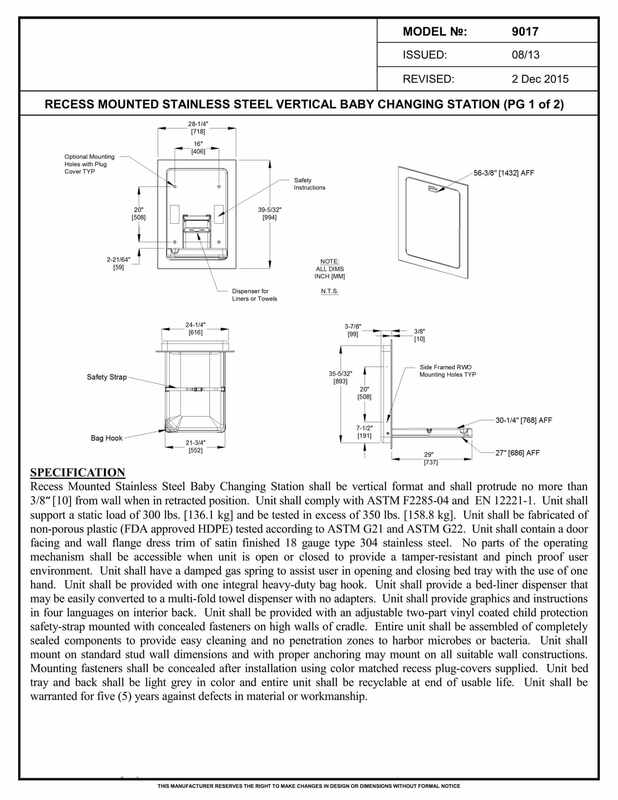 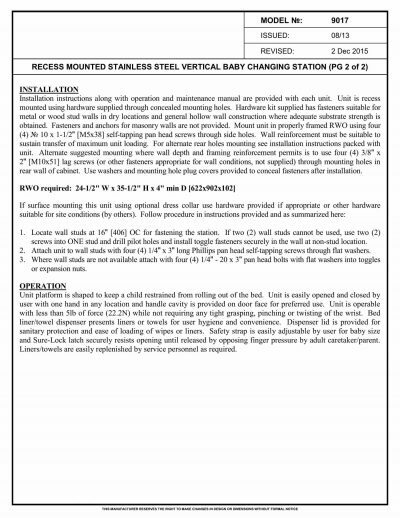 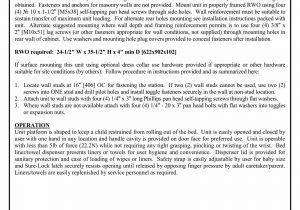 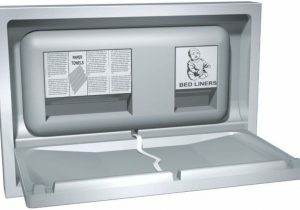 The American Specialties 9017 is a vertical, recessed, stainless steel baby changing station. 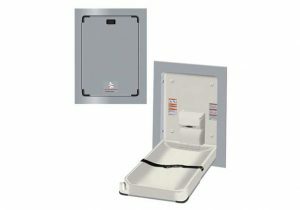 The door facing and collar are made from 18 gauge 304 stainless steel. 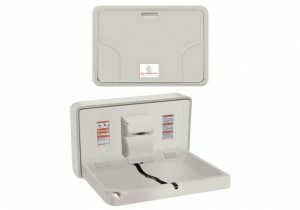 The unit itself is constructed of FDA-approved non-porous plastic. 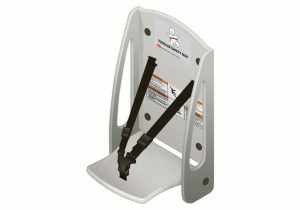 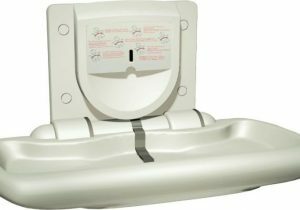 It is also ADA compliant and can support a static load of 300 lbs.